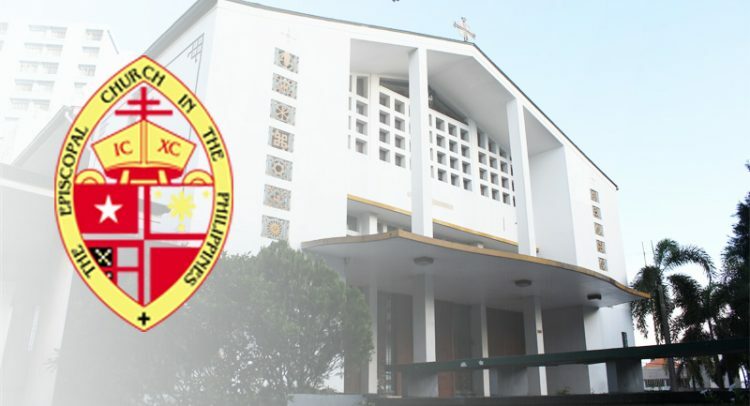 The Council of Bishops of the Episcopal Church in the Philippines expresses its deep concern over the inclusion of 600 people in a petition filed by the Department of Justice (DOJ) with the Manila Regional Trial Court last February to declare the Communist Party of the Philippines and the New People’s Army as terrorist organizations. In filing the petition the DOJ included the said list of 600 names it alleged as leaders or members of the said groups. We speak not only to take exception to the inclusion of Ms. Victoria Tauli-Corpuz, United Nations Special Rapporteur on the Rights of Indigenous Peoples and Ms. Beverly Sakongan Longid, Global Coordinator of the International Indigenous Peoples Movement for Self-determination and Liberation, in the list but also to take issue against the existence of such list. Historically, the Episcopal Church in the Philippines has a long experience on peace-building and peacemaking. Part of our self-definition as a Province within the worldwide Anglican Communion, is to be peacebuilders and peacemakers. Corpuz and Longid are just two among our many members who have taken to heart this vocation that calls for the protection of the dignity of every person at all times. We take constructive pride that Corpuz and Longid, two indigenous women are contributing immensely in the international arena for the defense of the rights of indigenous peoples everywhere. Terrorists, they are not. The other names from the Cordillera are not exactly strangers to us, either. Activists they may be, but terrorists they are not. The vilification, unfair labelling and harassment of those who advocate human rights is not new to us. We celebrate the many among our constituency who are advocates for just and lasting peace. It was not very long ago when Sarah Abellon-Alikes, one of our own, was arrested, detained shortly and charged with masterminding the bombing of transport vehicles used by a mining company in Northern Luzon. Even upon release she was harassed on her way home. The list which includes some Lumad leaders and consultant on the peace process is a perpetuation of a labelling which we thought ended after Martial Law. Experience tells us that lists like this, especially in our current sad state of a polarized country, are forms of harassments that make people vulnerable to unjust vexation. They breed resentment and create distrust. Worse they put people at great risk. Citizens of this republic should not be treated this way. Corpuz and Longid as with the other five from the Cordillera speak openly before various audiences in conference rooms, on the streets and in some other public forum. If there be any reason to charge them and the others, let it be done in the proper way within the mechanisms set in place in this country supposedly to give fair chances to all and promote justice. This would be a prior recourse before producing any list. We now urge the new Secretary of the Department of Justice to do the right thing to withdraw the list if not the petition altogether. Even as we do, we affirm the support of this church to the peace talks between Government and the National Democratic Front. Ever since the peace process was initiated by former President Fidel Ramos, the Episcopal Church in the Philippines has prayed that it may prosper and draw to a successful conclusion. Much more do we support the call at this time when the agenda on the table is on the socio-economic reforms, which when resolved would be a great breakthrough. The socio-economic issues have spawned the long-drawn conflict in this land. We do not desire our children on both sides to continue killing each other for another generation. The resolution of this second agenda could lead to the faster resolution of the two remaining items, namely, the constitutional and political reforms and the disposition of the armed forces of both parties. At the same time, we urge both parties to respect the Comprehensive Agreement on the Respect of Human Rights and International Humanitarian Law which they have bound themselves. As we issue this statement, we urge our constituency that we remain vigilant in protecting our rights even as we are steadfast in praying for our leaders. At a time when fake news abound, we are tempted to join the bandwagon of name calling and putting all our trust in one person alone. God’s truth of peace, love and justice are the eternal foundations of our society. Holy Wisdom who continues to guide and inspire us all must be allowed to flourish through our fidelity to affirm these truths at a time when systems and powers willfully deny it and cover it up. May God grant that the Holy Spirit, may so move every human heart and especially the hearts of the people of this land, that barriers which divide us may crumble, suspicions disappear, and hatreds cease; that our divisions being healed, we may live in justice and peace, through Jesus Christ our Lord. Amen. The Right Rev. Hillary A. Pasikan, Jr.
Bishop-Elect Nestor D. Poltic, Sr.
Bishop-Elect Rex Resurrection B. Reyes, Jr.